[I asked:] If you could make a few key changes to the way we do risk management at financial firms in the United States, what would they be? Risk management must be holistic. 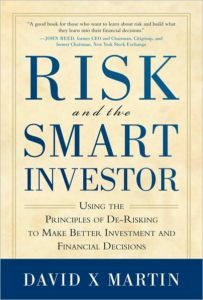 It must look to the strategy being pursued, the risk involved, and then the capital needed to pursue such a strategy. The risk manager must … have a voice at the table, with an independent channel to the Board of Directors like the internal audit function. The Directors have to be aware of the risks that the company is taking. Risk control must be grounded in reality. It’s fine to have a quantitative model, but after his run for a while, do you test to see how it has performed? (David Merkel: It is similar to what happens good insurance firms. Good firms take the results of their valuation work and feed it back into their pricing, so that they do not under- or over-price their products.) Testing is key. Was the model truly predictive? Did it really work? Did you compare the results to half a dozen alternative models? 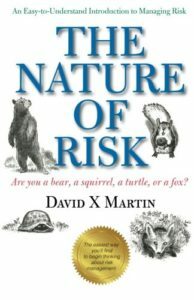 There are two visions on risk management. Vision one is the huge screen in front of the risk manager, with advanced math and analytics, that takes in all the data, and allows the risk manager to make simple adjustments in real time to the quantitative feedback. 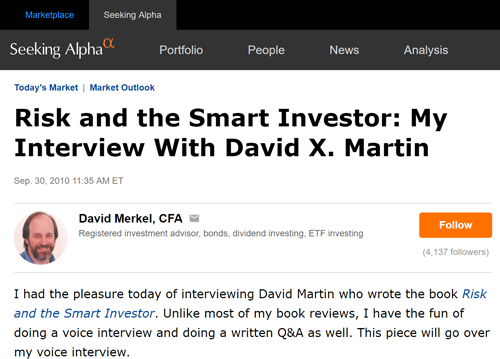 Read the full interview on Seeking Alpha.